A component of corn starch and the yolk-shell structure of eggs can improve the durability and performance of lithium-sulfur battery cathodes, report researchers. Lithium-sulfur batteries are a promising alternative to today’s lithium-ion batteries. 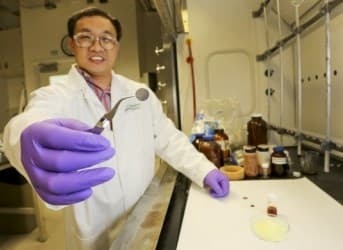 “There is currently a great need for high-energy, long-life, and low-cost energy storage materials, and lithium sulfur batteries are one of the most promising candidates,” says Weidong Zhou, a former postdoctoral researcher in Professor Hector Abruña’s lab at Cornell University and first author of two papers, which are published in ACS Nano and the Journal of the American Chemical Society. After about 50 charge cycles, the energy density of a lithium-sulfur battery decreases rapidly due to a phenomenon called the polysulfide shuttling effect, which is when the polysulfide chains in the battery’s cathode (positive end) dissolve in the electrolyte, the ionizing liquid that allows electrons to flow. To combat this problem and stabilize the sulfur, the researchers used amylopectin, a polysaccharide that’s a main component of corn starch. 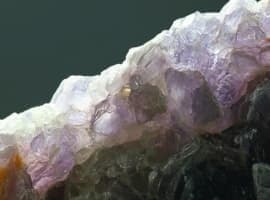 In another approach to improving lithium-sulfur battery durability, the researchers also report a new way to make lithium-sulfur cathodes by synthesizing a nanocomposite, consisting of sulfur coated with a common, inexpensive, conductive polymer called polyaniline, and modelled after the way an egg is encased in a shell but has room to move around inside. Similar sulfur-polyaniline composites have previously been synthesized in a “core-shell” structure, but the new method provides an internal void within the polymer shell, called a “yolk-shell” structure. 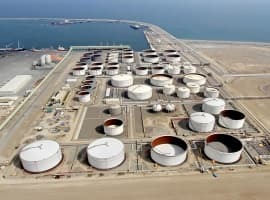 “When the lithium-sulfur battery was fully discharged, the volume of the sulfur expanded dramatically to 200 percent. If you think about the beauty of an egg yolk, there is some empty space inside, with space for the yolk to expand,” Yu says. The polyaniline coating, which chemically is a benzene ring with ammonium and strung into cross-linked chains, is also soft and flexible, and can protect against the “shell” cracking during long cycling. Provisional patents for these innovations have been filed through the Cornell Center for Technology, Commercialization and Enterprise. A Cornell startup company called Lionano Inc. is now commercializing these technologies for the marketplace. The Department of Energy and the Energy Materials Center at Cornell, an Energy Frontier Research Center funded by the US DOE, funded the papers. The researchers used the electron microscopy facility of the Cornell Center for Materials Research with support from the National Science Foundation Materials Research Science and Engineering Centers program. Ukraine Standoff Escalates, Could South Stream be in Doubt?